Have you ever thought of a Mustang having a 4-cylinder engine? “Only” 4-cylinders. Yes, that is the 2015 Ford Mustang EcoBoost, equipped with a 2.3L turbocharged four-cylinder engine, good for 310hp and 320 lb-ft of torque. 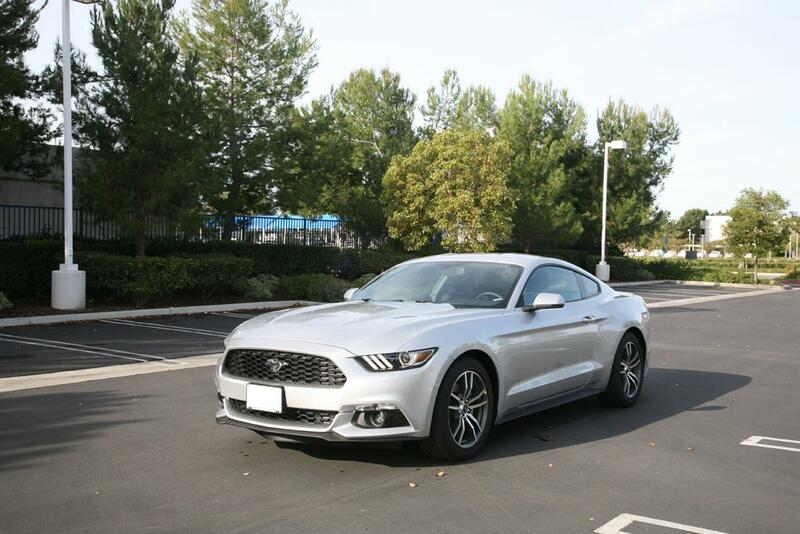 The 2015 Ford Mustang V6 engine is good for 300hp and 280 lb-ft of torque so you can get a good picture of how this new Mustang 2.3 EcoBoost can perform. If you are considering this move from Ford as an attempt to downgrade the Mustang a little bit to save fuel and make it more affordable for consumers in Asia and Europe, you are totally wrong. In fact, for Mustang the 2.3L EcoBoost trim sits above the 3.7L V6 engine trim. Now Ford is also taking another step on the Mustang EcoBoost, to offer an official tuning program for the pony car. Of course, it is specially designed for the EcoBoost engine. Ford plans to roll out this new product by the end of next year. Currently we are not sure in what format this new tuning product will be offered. But we know in the past for the Focus ST (2.0L EcoBoost) and Fiesta ST (1.6L EcoBoost), Ford offered a hand-held programming unit, which users can plug into the car’s OBD II connector port to let users adjust various engine control parameters. But this does not mean the tuning program for Mustang EcoBoost will be similar to this. Meanwhile, please see the below press release for more details. Ford’s award-winning EcoBoost® engine lineup not only has great EPA-estimated fuel economy ratings, it is also becoming a favorite family of engines in the performance tuning community. From the infancy of the automobile, tinkerers have always chased more power by removing original components and replacing them with expensive aftermarket parts. This can lead to added performance, but at a cost to fuel efficiency, durability or driving comfort most owners would never accept. For example, while replacing a camshaft can result in added horsepower, but typically a smooth idle must be sacrificed. Replacements can include new exhaust and intake manifolds, high-flow fueling systems and sometimes superchargers. This kind of tuning requires significant know-how and for the vehicle to be out of operation for some time. Now, with the advent of computer-controlled engines, tuners have begun modifying a vehicle’s original programming for increased engine performance in the areas they choose. The technologies in Ford EcoBoost engines make their efforts even more effective. Advanced EcoBoost technology includes direct injection, variable cam timing and turbocharging that, together, offer excellent power density and EPA-estimated fuel economy ratings straight from the factory. In the hands of engine tuning experts, tweaking these attributes can result in tremendous gains in horsepower and torque output, at an inexpensive price tag. A programming handset from Ford Racing offers a perfect example of the tuning possibilities. For Focus ST’s 2.0-liter EcoBoost engine and Fiesta ST’s 1.6-liter EcoBoost, Ford Racing offers ProCal, which any performance enthusiast can purchase at FordRacing.com for $595. Plug the device into the car’s diagnostic link connector port in the driver’s side footwell to tap into the many aspects of the car’s performance – anything from throttle response characteristics or idle speed, to turbo wastegate control, to fuel curves and spark timing. While these settings should be modified only within recommended limits, the resulting performance gains with Ford-tested programs can be impressive. Focus ST owners, for example, can expect up to a 90 lb.-ft. increase in torque – all while maintaining the Ford-backed limited warranty. Ford Racing is developing custom engine calibrations for the all-new Mustang 2.3-liter EcoBoost, with a product expected on the market by the end of 2015. Not all enthusiasts are concerned about maintaining their factory warranty, and for those, Ford has committed to working with aftermarket tuning companies to enable the development of high-quality parts and accessories to maximize the performance of Ford vehicles. Aftermarket tuners have achieved impressive performance gains for the all-new 2.3-liter EcoBoost I-4 in the 2015 Ford Mustang. Several tuners, including Mountune and Full-Race Motorsports, showcased their modified EcoBoost Mustangs at the 2014 SEMA Show. By working with respected turbocharging engine experts from around the world including Mountune and Full-Race Motorsports, Ford is demonstrating a commitment to a new breed of forced-induction performance. Expect to see more exciting new options from Ford Racing in the near future.